“Six months ago I had to make the difficult decision to slim down our internal team and outsource more capabilities. This model enables us to move and adapt quicker, and be ready for what happens next in a fast moving industry,” she says, adding the restructure has helped Collective Hub remain profitable. When Collective Hub launched four years ago it had very few competitors. But now, there has been a slate of established publishers establishing women’s networks, including Yahoo7, Bauer, News Corp and Nine. Last week at its Upfronts, Nine announced the launch of a subscription site targeted at professional women with a similar content focus as Collective Hub. Messenger says she welcomes other competitors and the paywall model is something Collective Hub could explore in the future. “If you are able to diversify and be where people want you to be there are more than enough ad dollars and partners out there,” Messenger says. Having invested $1.5 million into the initial launch of Collective Hub magazine, Messenger says the publisher isn’t turning away from print. In fact, next year she says it’s likely the magazine will go back to publishing 10 copies instead of the six this year. “I’m in the unusual situation where I still own 100% of Collective Hub so I’m able to be flexible and change with the market,” she says. Join us to celebrate the best in publishing at the Australian Magazine Awards next month. The finalists were announced this week and tickets for the breakfast event are available now. 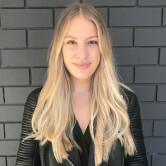 Collective Hub has shifted its print frequency from monthly to bi-monthly as founder Lisa Messenger pivots to focus on growing the events side of the business. 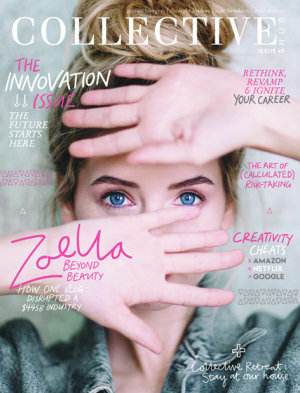 Collective Hub first launched as a print offering in 2013 but in the last year has built out its event offering, including boutique masterclasses for professional women, which Messenger says have been hugely successful but also require extensive resources. “We can’t keep up with the demand for the masterclasses, so we’ve dropped the print magazine back to bimonthly now,” Messenger says, adding the masterclasses are now being run in Sydney, Melbourne and Brisbane. The company has made several redundancies as the business streamlines itself around the three key pillars of print, digital and events. Despite this and changes to its frequency, Messenger is adamant Collective Hub is “stronger than ever”, adding that the September issue of the title was its best yet in terms of ad revenue. Big brands including CommBank, Lexus, Xero, Swarovski, and Deloitte all featured in the 49th issue of the magazine.